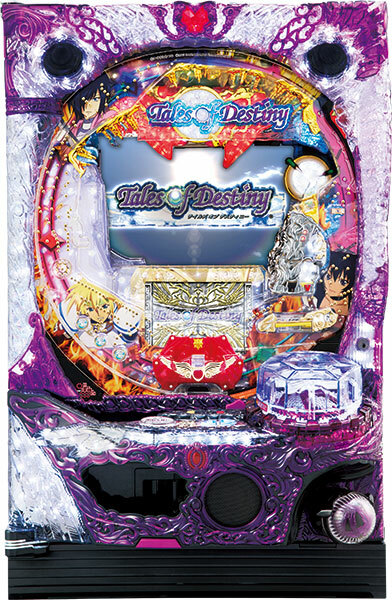 A pachinko machine of “Tales of Destiny”, 2nd Mothership titles of “Tales” series, has been released. The “Tales” series is a major RPG published by Bandai Namco that its total number of export worldwide adds up to 16 million. Speedy and fast battles, a charm from the original work, is a must watch!! Also, pay special attentions to the original song by gorgeous voice actors such as Tomokazu Seki, Koichi Yamadera, and Kikuko Inoue. And on top of all these, it collaborates with “Tales of Asteria”, that it is unstoppable!! Its date of debut hasn’t been decided yet, but let’s wait with patience while playing the game.